The Performance of Multi Sensor Fire Alarms in fire and false alarm tests: The early detection of fire is necessary to give building occupants time to escape and to limit the damage to property. Achieving reliable early detection with minimal false alarms over a broad range of applications is a challenge. The detection of smoke-like phenomena commonly found in the service environment, such as steam, aerosols and airborne dust, contribute to the numbers of unwanted alarms. Since 2013 BRE has been involved in two studies investigating how false alarms from fire detection systems can be reduced. They showed that the greater use of multi-sensor detectors could help to reduce false alarms from common causes such as steam, dust, cooking and aerosol sprays. 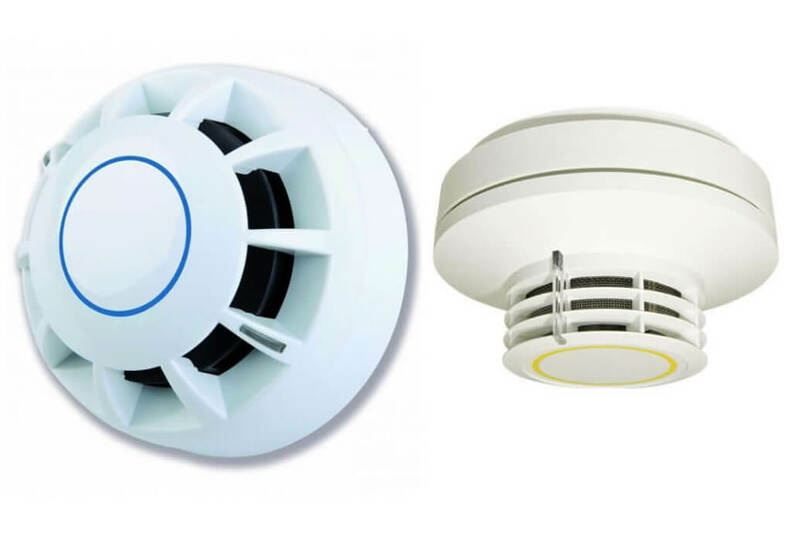 Multi-sensor detectors use a combination of more than one type of sensor – smoke, heat or carbon monoxide – to detect the presence of a fire. A research group, comprising the Fire Industry Association, BRE and fire detector manufacturers, has now investigated the immunity of multi-sensor detectors containing optical smoke and heat sensors to common causes of false alarms. The multi-sensor detectors used were categorised by their design and the performance of these detectors in more challenging test fires was also investigated. In a series of five false alarm tests as well as six standard and four new test fires the performance of thirty-five optical heat multi-sensor detectors, representing the full range of those currently available in the marketplace, were compared against two reference optical smoke detectors. The response of the detectors to cigarette smoke, insects, condensation and synthetic fog was explored, but it proved difficult to develop consistently repeatable test methods. Targeting the more common causes of false alarms five tests were developed and used during this research. These were water mist, dust and aerosol tests performed at the University of Duisburg-Essen together with toast and cooking tests conducted in the BRE Fire Test room. For all false alarm tests the multi-sensors on average operated after the optical smoke detectors. Nine of the multi-sensors did not respond to the aerosol spray, indicating excellent immunity to this cause of false alarms. The four new test fires that were developed included flaming or smouldering fires using ABS, MDF and flame retardant polyurethane foam. The new test fires examined optical heat multi-sensor performance at their limits of detection, by producing levels of heat or smoke particulates that challenged the technology. Whilst failures of these detectors were observed to some of the new test fires the majority passed. The multi-sensor detectors and the optical smoke detectors achieved similar pass rates in all the test fires, but critically, during all five false alarm tests, the optical heat multi-sensors on average operated after the reference smoke detectors. In general it was found that the more sophisticated the optical heat multi-sensors were, the less prone they were to common causes of false alarms, whilst their ability to detect real fires was not compromised. This research has implications for future product standards and codes of practice. It should be possible and relatively simple to produce a product standard that enables multi-sensor detectors to be graded according to their resistance to specific, commonly encountered phenomena known to result in unwanted alarms. It is anticipated that LPCB will produce a Loss Prevention Standard for the purpose of product certification in relation to the resistance to false alarms. Codes of practice, such as BS 5839-1 (or a supporting Published Document), could then give advice to users on the selection of multi-sensor detectors for specific applications. Download a copy of The performance of multi-sensors in fire and false alarm tests as a PDF file.